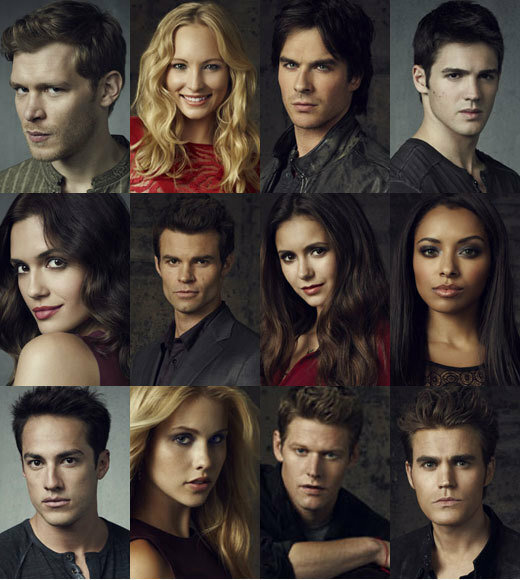 Vampire Diaries cast. . Wallpaper and background images in the Maonyesho ya Televisheni ya Vampire Diaries club tagged: photo vampire diaries katherine pierce elena gilbert nina dobrev jeremy gilbert steven r mcqueen ian somerhalder damon salvatore stefan salvatore paul wesley matt donovan ‎zach roerig candice accola caroline forbes bonnie bennett.